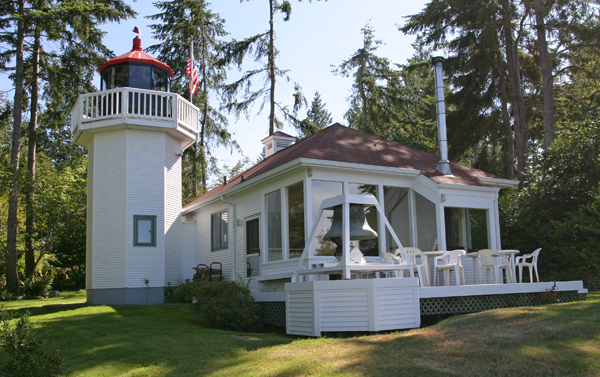 Jim Gibbs constructed Skunk Bay Lighthouse in 1965 using plans from Mukilteo Lighthouse. 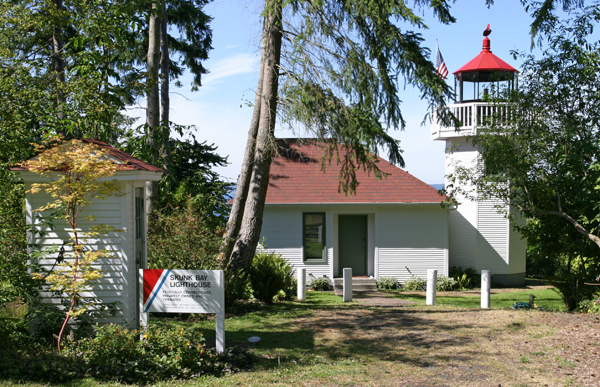 In 1964, Gibbs obtained permission from the Coast Guard to retrieve the lantern room from Smith Island Lighthouse before erosion toppled it into the waters of the Strait of San Juan de Fuca. Topped with a real lantern room and displaying a Fresnel lens, the memorial light looked quite authentic, however, it was by accident that it became an active aid to navigation. At night, Gibbs would occasionally flash the light for brief instances. One night, he turned the light on for a friend who was guiding a cargo vessel through Puget Sound and forgot to turn it off. 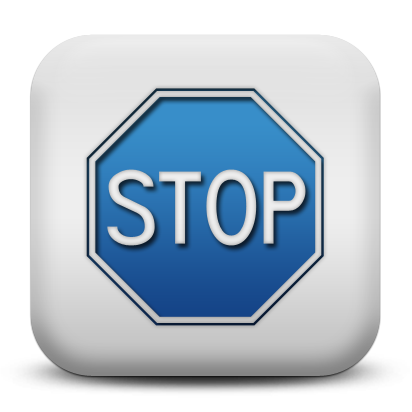 The next morning, the Coast Guard received several calls regarding an unauthorized beacon, and a Coast Guard officer paid a visit to the light. After inspecting the lighthouse, the officer ordered that the light was to remain off or be operated according to the rules and regulations for private aids to navigation as stipulated by the Coast Guard. Mr. Gibbs applied for permission and passed inspection. The light's was changed to fixed-red and reduced in power, but Skunk Bay Lighthouse has been operational ever since. In 1971, a group of twenty people organized as the Skunk Bay Lighthouse Association and purchased the structure. Finding the one-room, three-bunk lighthouse too restricting, the fun-loving group enlarged the lighthouse, adding two bedrooms, a bathroom, a living/dining room, and a loft. The room from the original lighthouse was converted into a kitchen, and the completed structure was dedicated in 1982. During the remodeling, a 1940 fog bell was added to the property. The Skunk Bay Lighthouse Association is now limited to twelve members, who each own a share. Each share is entitled to a one-week-stay at the lighthouse each quarter. The association sets aside two weeks each year for work parties, where members and their families spruce up the grounds and complete maintenance projects. The "memorial outhouse" stands alone guarding the entrance to the lighthouse. Public access to the facilities is not available. Lighthouse of the Pacific, Jim Gibbs, 1986. Communication from Allan Davis, Skunk Bay Lighthouse Association member. "Jim Gibbs and All Things Maritime," Oregon Coast, July/August 2005. For a larger map of Skunk Bay Lighthouse, click the lighthouse in the above map. From Highway 104, 2.3 miles west of Kingston, go north on Miller Bay Road which will shortly thereafter become Hansville Road. After approximately 7.5 miles on this road, the road will turn left in Hansville and become Twin Spits Road. Skunk Bay Lighthouse is located just under a mile down Twin Spits Road on the right hand side.